SecurityStockWatch.com: Thank you for joining us today, Joel. 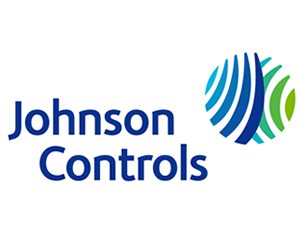 Can you please tell us a little bit about yourself and your role with Johnson Controls? Joel Lehman: Thanks for having me. 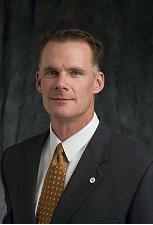 I am currently vice president and general manager for Security and Fire Safety Solutions in North America. Security and Fire Safety is part of the company’s Building Efficiency Group headquartered in Milwaukee, Wisconsin. I am responsible for leading growth initiatives for the security and fire safety business throughout North America. Given our present emphasis on enterprise customers, promoting growth has meant building security and fire safety account teams focused on customers with facilities throughout North America. In my 21 years here, I’ve held numerous positions within Johnson Controls many of them in local offices. I’ve also been vice president of sales and vice president of technology prior to leading this team. SecurityStockWatch.com: Please provide us with an overview of Johnson Controls Fire and Security Solutions. Joel Lehman: Johnson Controls is both an integrator and manufacturer of fire and security products. We have a global span of resources with experts available to our customers within their local communities. Thus we work with clients and suppliers around the world to design and implement solutions that deliver simplicity of operation, enhanced efficacy and cost-effective protection. Some of the centerpiece products we manufacture include the Johnson Controls P2000 security management system, an access control solution; the Digital Vision Network (DVN), a video surveillance solution; and the Johnson Controls PowerNet IP reader, an IP reader available as a stand-alone as well as able to be integrated with the P2000. We also have a line of intelligent fire control panels (IFC) ranging in sizes and options based on the customers requirements. Most of our solutions, however; involve integrating products made by our supplier partners. In fact 2/3 of our implementations involve third-party products. The key to what we offer and our success in this sector is our team of experts backed with more than 100 years of Johnson Controls experience. When they work with us, customers can be confident that they have chosen the best solution provider available, whether they need new systems or want to update existing infrastructures. SecurityStockWatch.com: What are your target markets and what is your perspective on the market drivers for Johnson Controls Fire and Security solutions? Joel Lehman: Johnson Controls takes a vertical market approach to selling, targeting a broad spectrum of markets with specific sales forces dedicated to customer types and customer markets. In my experience this market can be more reactive than proactive, with activity sparked by incidents in specific sectors (e.g. healthcare, shopping mall incidents). Other drivers include compliance and accountability requirements (reporting, absolute policy and software); pressure to centralize and standardize security measures (reflect policies and measure effectiveness) and the need to increase productivity. The increasing availability and effectiveness of open systems which leads companies and institutions to install them to more easily permit future upgrades and avoid the high costs of “rip and replace”; the convergence of IP communications technology with existing security infrastructure which provides quick and consistent responses as well as greater cost-effectiveness. We think that as the convergence of physical security and IT advances, its benefits become more and more obvious to our customers. It leads to new and innovative products that are also more affordable than ever before. And as the security and fire safety market continues to grow, Johnson Controls will continue to invest resources in developing IP devices and wireless technologies. SecurityStockWatch.com: How would you describe Johnson Controls competitive advantages and value proposition? Joel Lehman: Johnson Controls possesses great advantage because of our years of experience within building environments, our ability to maintain a highly educated staff and continuously hire new employees from around the globe, our size and at the same time the scalability of our offerings. Our value proposition lies within the relationships that we have built throughout the years and our ability to deliver on our promises to our customers. As a global integrator, Johnson Controls can build highly complex solutions that involve the integration of building systems and applications with fire and security systems, creating tremendous benefits for our customers. SecurityStockWatch.com: Are there any government wins you care to share with us today? Joel Lehman: Johnson Controls has always had strong relationships with municipal governments, and recent local government wins reflect that strength. In Cook County, Illinois, we are building a high speed municipal wireless infrastructure for first responders. It does two things. It allows any jurisdiction in the county to issue a rapid all-points bulletin. Second, it gives first responders access to video streams from inside government owned buildings, in real time within their vehicles. This is the sort of job that illustrates Johnson Controls’ competitive strengths. Clearly it is a security job, but behind the scenes it is also a wireless IT job on a massive scale. Three teams at Johnson Controls – Security & Life Safety, Network Integration Solutions and our Major Projects team – are collaborating to make it happen. The same is true in Buffalo, New York where we have two jobs in progress: one for the police and another for the public schools. Johnson Controls has installed a city-wide network of wireless cameras to monitor high crime areas. In the public schools, we are installing 3,000 cameras and 221 digital video recorders. During the day the cameras keep an eye on things. In the event of an intrusion at night, they sense motion and start recording evidence. Many of our public and private sector customers like the Buffalo projects demonstrate our government contracting savvy. Buffalo like many municipalities has a 30 percent requirement for minority participation. Johnson Controls assembled a team of employees and subcontractors that exceeded the requirement. Another great Johnson Controls customer is the Metropolitan Water District of Southern California. Here you have a water authority spanning from the Pacific Ocean to the Nevada border with lots of dams, reservoirs and infrastructure in between. Johnson Controls started working with the District after 2001 to audit and correct its security vulnerabilities. I love this project because Johnson Controls did a great job advising the Metropolitan Water District on technology. There were some pretty extreme technical challenges. They needed infrared cameras for installations with no lighting at night. They needed solar power for equipment at locations with no power source. All the video had to be multicast to a variety of different local and regional operating stations. And if those requirements were not demanding enough, they would not tolerate system failure. The Johnson Controls team surveyed the available technology and found the one solution that would work. There was a competitive proposal process for the job, but no other vendor came close. We knew they couldn’t because we had done our homework and had researched their technology too. SecurityStockWatch.com: Can you provide us with an overview of the solutions you provided to the Pentagon without divulging any top-secret information? Joel Lehman: When you serve a customer like the Pentagon, “safety” and “security” have different meanings. You’re no longer talking about theft, shrinkage and employee safety. Security and other systems have to keep the core of operations up and running so our nation’s military can keep the rest of us safe. That is a heavy responsibility, and it requires thinking outside the narrowly defined security and life safety box. Priority number one at the Pentagon was integrating security, fire safety, lighting, mechanical, electrical, HVAC and utilities in a way that eliminated single points of failure. If a pipe carrying cooling water fails, the Pentagon needs assurances that the water will be rerouted to continue serving the rest of the building. The same goes for all other systems. Access control, cameras and other equipment needs to stay operational. This is how people were able to return to work at the Pentagon on September 12, 2001. Johnson Controls smoke control and fire suppression systems kept damage contained. Meanwhile, everything – climate control, access control and other security systems, etc. – continued to function more or less as normal. Beyond that, providing information to the operations center on all building systems that could effect the mission is critical. So we find a broad level of integration beyond the traditional security scope as a key requirement to keep the operators up to speed on everything going on at the site. SecurityStockWatch.com: Any other specific vertical market wins you care to share with us today? Joel Lehman: Johnson Controls works in most vertical markets, but we have enjoyed our greatest success with large enterprise customers. Those customers demand efficiency, a fine tuned balance between centralized and distributed command and control, and standardization of policies and procedures. We have several customers in the petrochemical industry that have demanding enterprise security needs. Ever since Hurricane Katrina, petrochemical facilities are subject to the Homeland Security requirements for critical infrastructure. They are potentially high profile targets for eco-terrorists. They are very large facilities where simply relaying a signal on one end of a site to a control room on the other poses a technical challenge. Petrochemical companies tend to strike a trickier balance between global and local command and control. They also have zero tolerance for safety incidents on the worksite. Johnson Controls has the technology and the project management expertise to serve this vertical. Not many others do. Then we have Los Angeles County Hospital. L.A. County is the largest hospital in southern California. Built in the 1930s, it was showing its age and had some structural defects due to earthquakes. When the decision was made to update the hospital, Johnson Controls was called into to integrate 30 different systems across one and a half million square feet. We provided building automation systems and equipment, clinical technology and a laundry list of security technology. We installed our P2000 security management system, a new command center, an RFID system for infant tagging, access control, a full range of systems for the detention ward, metal detectors, bomb detection for incoming parcels, a radio relay system to support first responders, video surveillance and code blue stations in the parking lots. We call this approach “technology contracting.” A single manager – Johnson Controls – installed all building, security, life safety, voice, data clinical and administrative systems. We helped the customer select technology and then we installed and integrated it on a converged infrastructure. The approach saves money because it gets rid of redundancies. The customer has the peace of mind that comes with a single, highly qualified and accountable contractor. It also makes the most of opportunities for integration. For example, at L.A. County Hospital Johnson Controls installed surveillance cameras in the operating rooms to assist with staff training and care audits. Technology contracting is an increasingly popular approach in hospitals, but we also see it in higher education and large multi-tenant commercial buildings. SecurityStockWatch.com: What emerging technologies are molding Johnson Controls’ approach to security integration? Joel Lehman: Convergence is the big one. Increasingly, security and other systems all reside on IP infrastructure. They share cables and can talk to one another using open, non-proprietary protocols. Convergence opens up a whole new universe of integration. For example, you can integrate climate controls with motion sensing cameras or access control to conserve energy in unoccupied areas. Convergence also means that the walls between security operations, facilities management and IT are disappearing. People are sometimes surprised to learn Johnson Controls does so much work in IT. Well, once upon a time we were an HVAC company. Then, all of the sudden we had a system – Metasys – that could control millions of individual climate zones using wireless sensors over an IP infrastructure. Suddenly we were in IT and deeply invested in the profession at a very sophisticated level. It influenced our approach to security integration. It got us involved in projects like the high speed wireless network in Cook County. Convergence doesn’t just explain Johnson Controls’ evolution as a company. It defines it. We are also excited about situation management software, which is a platform for integrating various security technologies. As security technology has proliferated, operators have struggled to monitor and manage the wide variety of alarms and data being presented. Situation management software makes data available through a single user interface from multiple security systems and technologies, interprets alarms and other data to make them actionable, and triggers workflows to manage incidents. It reduces human error, enables faster and more effective response, lowers costs and improves accountability. Our enterprise customers love it. Fewer command centers and seats of operation mean better command and control, not to mention economies of scale. You’re seeing the same phenomenon in identity management. Think of all the databases that enterprises have to keep: human resources, payroll, information systems access, facilities access and others. It used to be that when you brought on a new employee, a variety of people had to enter the employee into a variety of databases. The same thing happened in reverse when an employee left or was terminated. It left the enterprise vulnerable. What if the guy responsible for off-boarding a terminated employee from one of those systems was on vacation? Identity management systems integrate all databases and automate credentialing and decredentialing.